This Summer I was busy trying to furnish and decorate our Farm house…spending the least possible amount of money. We found a local farmer that builds furniture and had some pieces custom-made. 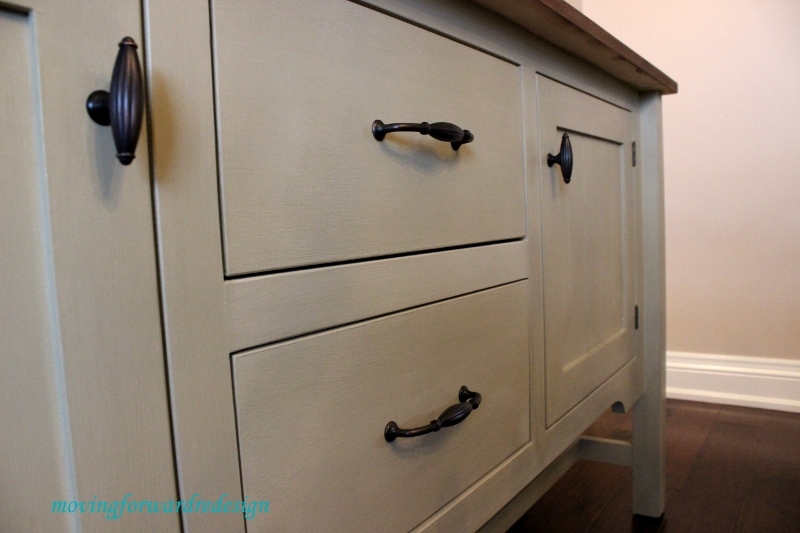 All unfinished and ready for my favourite paint…Annie Sloan Chalk Paint. and to ask her for advise…what COLOUR?? Elizabeth suggested I try Country Grey with clear wax. 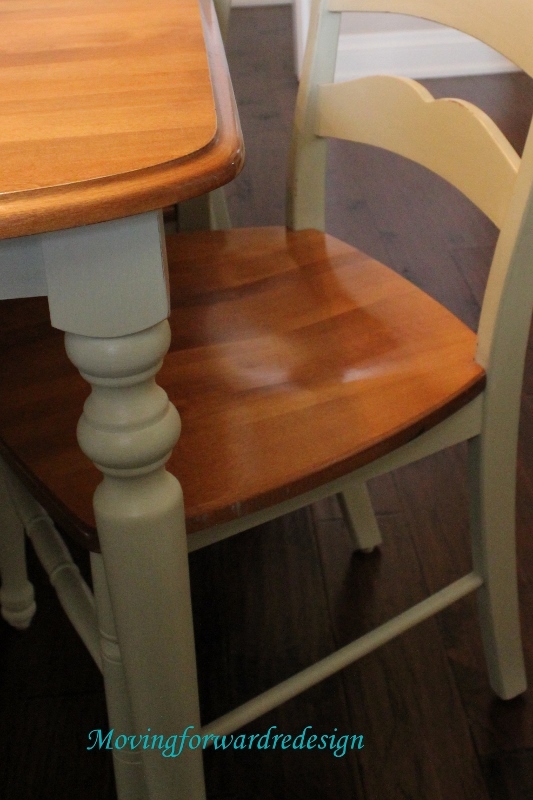 The colour is perfect for my dining space. I decided to leave the top unpainted and stained it instead. 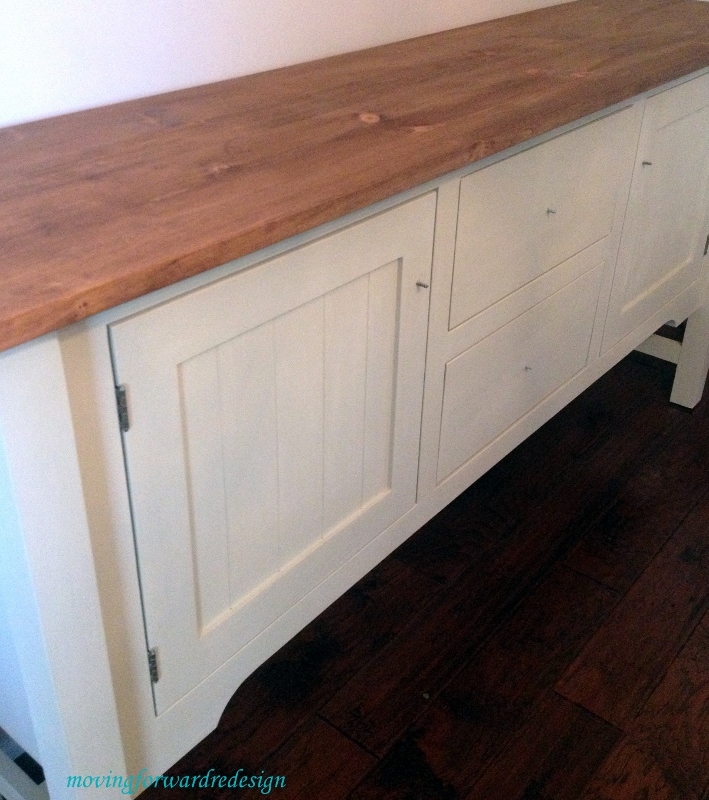 I didn’t distress the sideboard as the original wood was very light and it didn’t really come through. 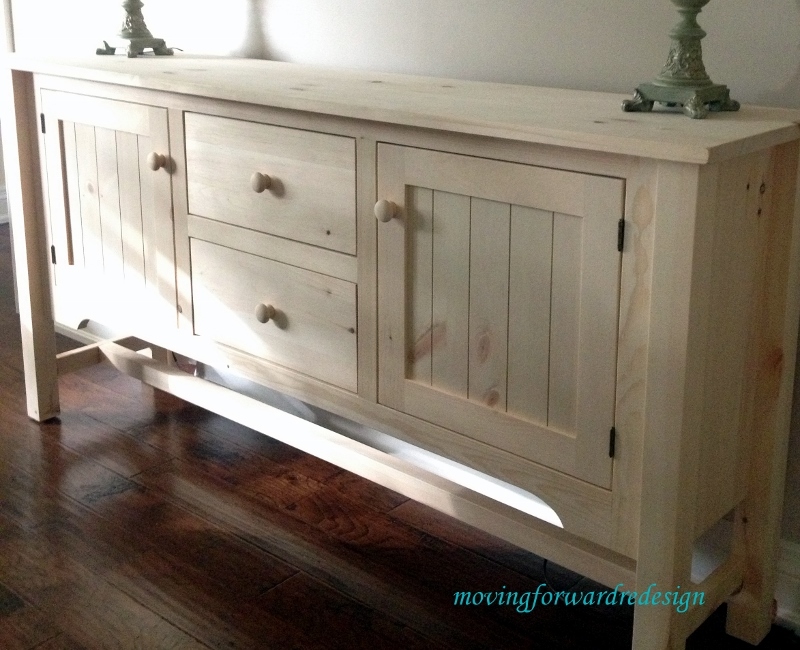 I did sand it lightly and then decided to save more money by using the leftover hardware from my kitchen remodel. Looking forward to posting the Dining Room photos very soon. I just love Country Grey, one of my favs 🙂 (although saying that they all tend to take turns at being my favourite!) Table and chairs look gorgeous too! Thanks Jennifer, the farm is finally coming together. I can’t wait to spend Christmas there. 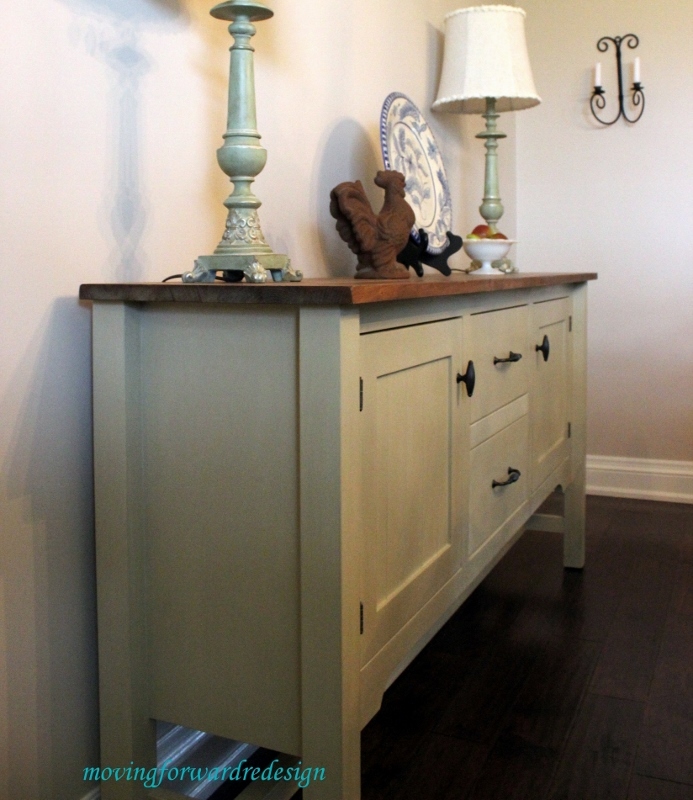 Margaret, your sideboard looks amazing!! You knew just what you needed. It’s so pretty! The top looks great stained in this darker shade. And the gray color is just awesome. How beautiful with your newly painted table. You’ve been one busy lady!! I know it will be so nice to enjoy all this over the holidays. Way to go!! It looks great! I love the ASCP color Country Grey. Thanks Marty!! I will definitely link up on Monday, love your Inspire Me Party! !